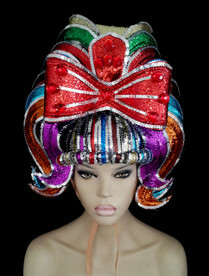 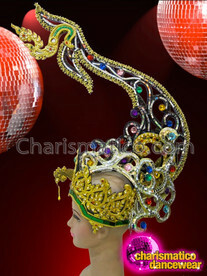 One look at this delightful headdress is enough to blow your mind. 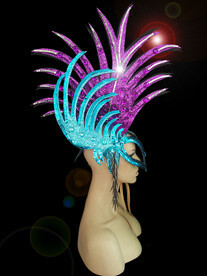 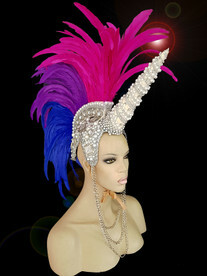 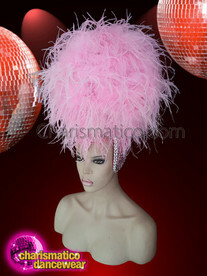 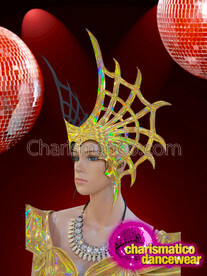 Create a bold and powerful impact on stage with this beguiling Pink headdress. 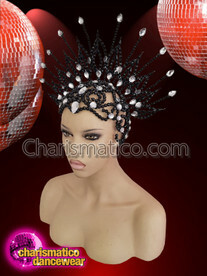 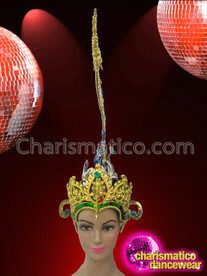 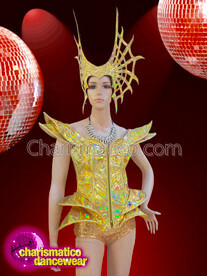 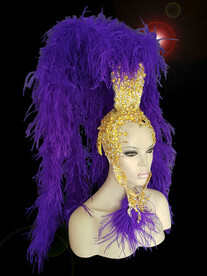 The work of golden sequins on the headdress compliments the shimmering crown of pinkish hue.